Before the Fort Dodge football team is able to put together a complete game against third-ranked (Class 4A) West Des Moines Valley on Friday, head coach Matt Miller’s squad must tackle the first quarter. Or even the first series. ”When you’re playing a team like Valley, you can’t get ahead of yourself — or too far behind,” Miller said. ”You have to be able to take the early punches and stay in it. You won’t make it a competitive four-quarter game if you don’t make it through the (opening period) first. 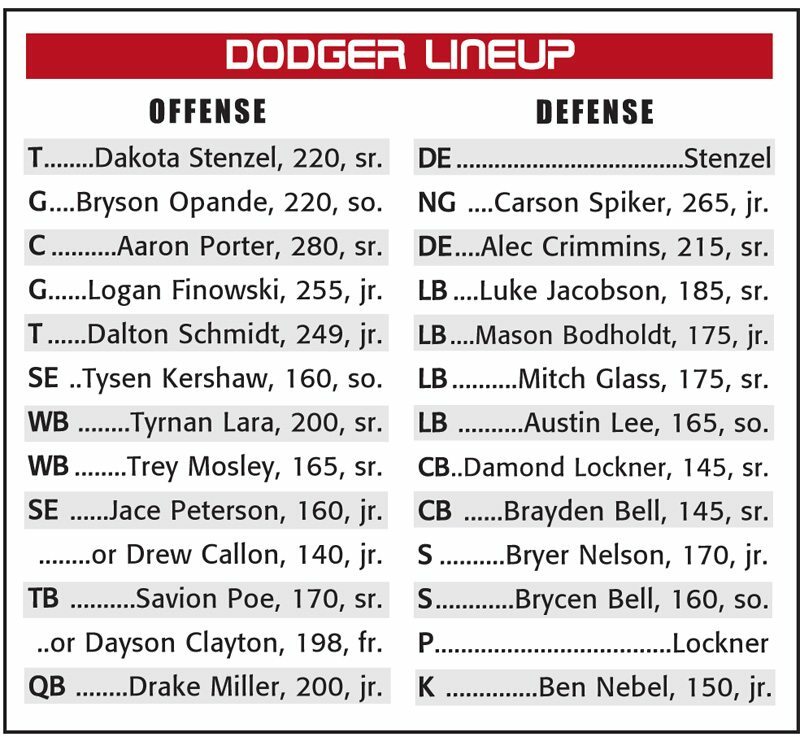 Fort Dodge (3-1) meets the Tigers (3-1) on Friday at Dodger Stadium in the District 4 opener for both programs. Varsity kickoff is set for 7:30 p.m. 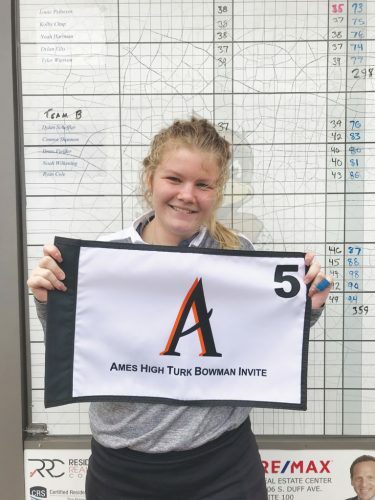 The Dodgers are riding high after last week’s 62-52 home victory over Ames — their third in a row and the third consecutive time they’ve scored at least 47 points. Fort Dodge currently boasts Class 4A’s No. 5 scoring offense, which also ranks second in passing and 10th in total yardage. That attack will be tested by Valley, which already owns wins over fourth-ranked Bettendorf, No. 8 Johnston, and ninth-rated Waukee. The Tigers allowed 21 points or less in all three of those triumphs. Their only loss was to No. 1 Dowling, which is nationally ranked. Quarterback Drake Miller has spearheaded a precise, relatively mistake-free FDSH attack. The junior left-hander has completed 70 percent of his throws, with no interceptions in 100 attempts. Miller has 15 touchdowns and 1,076 yards through the air. Senior Trey Mosley (26 catches, 324 yards, 4 TDs), senior Tyrnan Lara (18-301-5) and sophomore Tysen Kershaw (13-142-2) have been Miller’s main targets, though eight different receivers have found the end zone. And freshman tailback Dayson Clayton has accumulated 440 yards and six scores from scrimmage in the last two weeks combined. The Tigers have recovered six fumbles and intercepted three passes for a plus-six turnover margin. Quarterback Beau Lombardi — the younger brother of Michigan State University freshman signal-caller Rocky Lombardi — has thrown for 542 yards and five TDs, while senior tailback Jevon Mason — a four-year varsity regular — has 266 yards at 6.2 yards per carry. Jalen Long (10 receptions, 171 yards) and Tariq Brown (22 for 165) are Valley’s leading receivers. ”They don’t have Rocky anymore and they graduated almost all of their starters (defensively) from a year ago, but they’ve just reloaded the way Valley does,” Miller said. ”They have plenty of next-level talent, and they’re very fundamentally sound and always well-coached. The Dodgers’ Achilles heel has been its run defense, which is allowing 6.4 yards per carry. Fort Dodge is still down five starters from its Week 1 lineup defensively, and all five played in the front seven. For the second consecutive Friday night, steamy weather may be a factor as well. Temperatures are expected to be in the mid-80s at kickoff. Miller will try and avoid using players on both sides of the ball as much as possible. A week ago, his five offensive linemen — seniors Aaron Porter and Dakota Stenzel, juniors Logan Finowski and Dalton Schmidt, and sophomore Bryson Opande — were on the field for every snap. Sophomore linebacker Austin Lee will make his first start on defense.